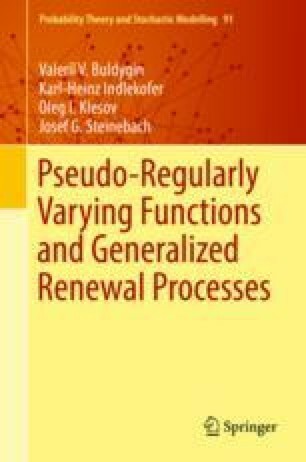 Many limit results are known for cumulative sums of independent identically distributed random variables and the corresponding renewal counting processes to hold under the same conditions. Despite the coincidence of conditions for both cases, the theories have been developed independently of each other and the methods are different. A general question is whether or not the whole theories of limit theorems for sums and renewal processes are equivalent. In this chapter, we consider the problem of the equivalence of certain asymptotic results, like the strong law of large numbers or the law of the iterated logarithm, for a sequence of sums of independent, identically distributed random variables and its corresponding renewal process.